The competition to land a new job or score a promotion is fierce. As a job seeker, you have to bring your A-game or you’ll find yourself on the bench. 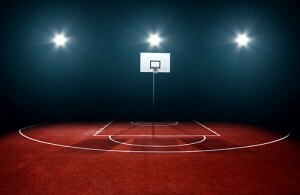 Before the NCAA college basketball tournament tips off later this month, we assembled an all-star line-up of job skills and qualities sought by employers and pitted them head to head in a quest to see which could outlast the competition and emerge as champion. In our hypothetical scenario, the field began with nearly 30 highly sought attributes chosen from a strong field of abilities and characteristics coveted by employers. We seeded the top 16 according to rankings accumulated from leading hiring managers. It’s important to note that there were many strong contenders who narrowly missed the field of 16, many of which on any given day are strong enough to help score a job. Among them were ambition, independent thinking, strong time management skills, good listener, goal focused, and a proactive mindset. 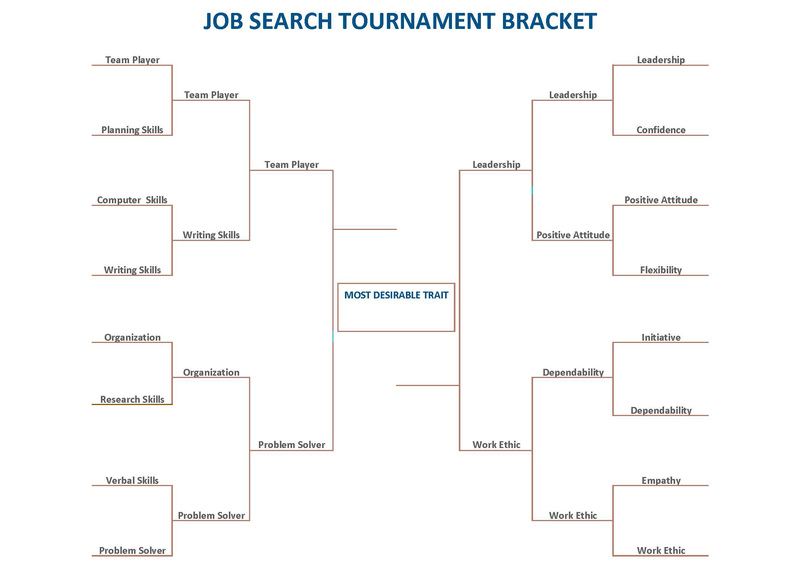 As the competition heated up and the field narrowed to the Super 16, our job search tournament began to take shape with desirable skills occupying one side of the bracket and highly sought personal traits dominating the opposite side. A couple of surprise underdogs made the field due to emerging trends in the hiring mindset. Empathy made a strong showing in the bracket, underscoring a desire by many companies to employ a mindful, conscientious workforce. Flexibility also made a solid run for the title, demonstrating a need for employees who can adapt and evolve in a changing work environment. In what many observers viewed as a stunning upset, Writing Skills narrowly edged Computer Skills to advance in the tournament. Pundits suggest that in today’s job market, computer skills are readily expected from an applicant, thus giving the edge to Writing Skills. The field continued to thin as the tournament intensified. Powerful front runners emerged as many contests went down to the final buzzer. In a key match-up, Flexibility continued its strong push to go deep in the field by constantly adapting to changing conditions. However, the “can-do” spirit of Positive Attitude prevailed, refusing to be denied their rightful spot in the Awesome 8. Two favorites of hiring managers, Organization and Dependability both punched their tickets to the next round. However, when the dust settled, only the Favored Four remained to contend for the title of Most Desirable Trait. Set to contend on the “skills” side of the bracket, number one seed Team Player goes up against Problem Solving. The winner will square off against the winner on “attributes” side of the bracket, which pits number one seed Leadership Potential against Work Ethic. The outcome is far from set in stone, as any one of the four could be enough to tip the scale and score the job. Astute observers point out that the likely winner will be the one who can maximize its strengths, as well as adopt the qualities of the other contenders to present a multi-faceted approach. What do you think? Check out our bracket (click to enlarge) and let us know how you’d fill out the remainder of our Favored Four. Are there early round match-ups you think should have turned out differently? What other skills or traits that should have appeared in the bracket? Tell us in the comments section!